This post relates to neopets….yes, I still play neopets. Sorry if you guys are not really interested in the game, but there are a lot of cute pets you can adopt on the game and it is a fun way to spend free time. I am on a mission to get a UC plushie cybunny, do you have one up for trade or adoption – or know anyone else that has one? Note the hand on a converted plushie cybunny. The cute art for an unconverted plushie cybunny… They even got rid of the lop ears with the redraw. Any help would be greatly appreciated, as this pet is difficult to come by and it is my dream pet to own in the game. 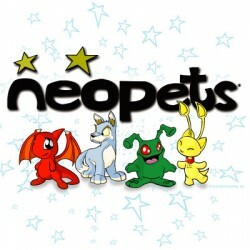 If you are interested in learning more about Neopets, please check out Jellyneo.net and sunnyneo.com.